Tell me what you’re reading and I’ll tell you who you are. Books have caused friendships to break up. Because of reading the wrong one, not returning the lent one or mistakenly leaving the one with that certain dedication in it lying around. On the other hand, books are there to make friendships, to strengthen and celebrate them. The right book at the right time – to cheer you up, to rejoice, to fall in love again – belongs to the most valuable things there are. So there was never any doubt we could be anything but fans of „Friends with Books“. Behind this name is an association that has been giving art and artist’s books a public platform since 2014. 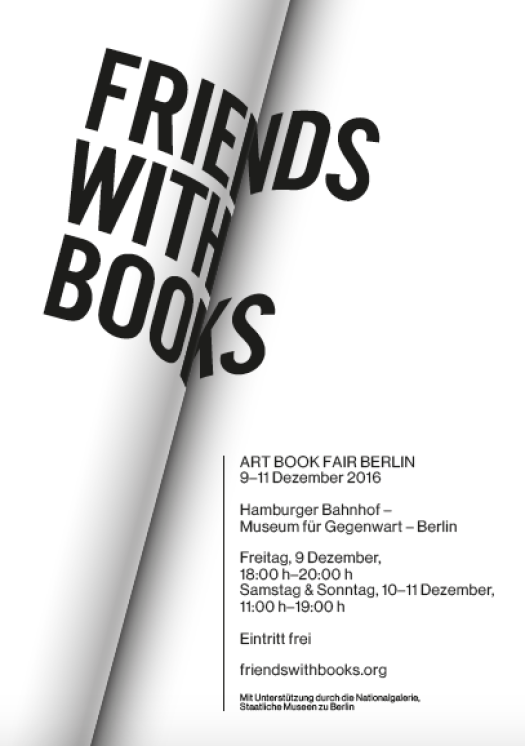 This year, 160 artists and publishers will be presenting their books again at the Hamburger Bahnhof. A colourful bouquet is waiting to be discovered: self-published magazines, elaborately designed artist’s books and works produced in private publishing all show how closely knit the relationship between art and publication can be. For one weekend, the fair will be enhanced with lecture performances, talks and individual presentations. Art for touching, for flicking through, for making friends. Some maths for you: There are about 7 billion humans living on our planet. Every ninth of them doesn’t have enough to eat. So that’s 795 million. 100 million are children. Ten times as many people own a smartphone – so that makes two billion. Question: How much does it cost to feed one meal a day to a starving child? Doesn’t make sense? Oh yes it does and the answer is 40 cents. ShareTheMeal is an initiative of the UN World Food Programme (WFP), the largest humanitarian organisation fighting hunger. The idea is as simple as it is ingenious. 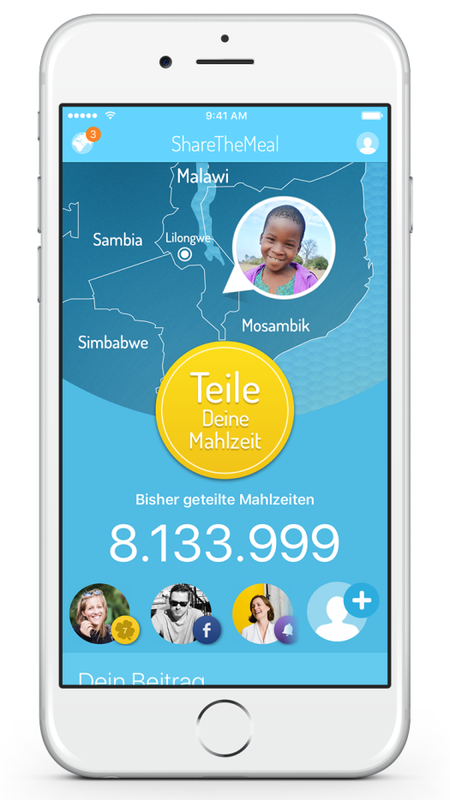 ShareTheMeal shares mini donations via its app und converts them straight into meals for starving children. And this is how that works: download the app onto your Apple, Android or Amazon phone and the next time you’re having brunch, lunch or dinner, just remember to share your meal with a child in, for example, Lesotho, Africa. One click in the app, done. It’s like giving a tip, but has much more impact. The United Nations World Food Programme takes care of distributing the food for you. And the best part is that all costs for administration, transport, marketing and logistics are already taken care of, so 100% of your donation actually make it to the plate. 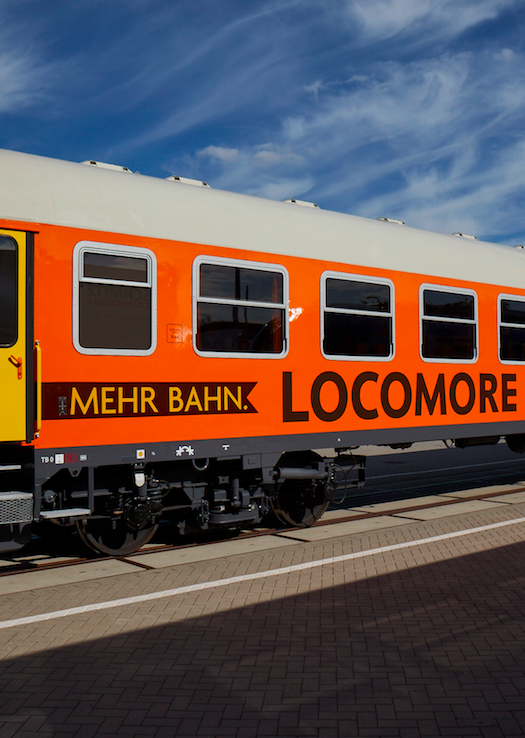 The app is made in Berlin and is starting in Germany, Austria and Switzerland initially. Current status just now was at 9,230,983 shared meals already. Trend: Rapid! Conclusion: It works. Hunger is the largest health risk world wide – bigger than AIDS, Malaria and Tuberculosis put together. It is our moral, societal and yes, economic duty to get a grip on this solvable problem. Hiding is not an option. It has never been this easy. A short while ago, we were allowed to be there when the ecological mobile Fairphone was awarded the Blue Angel, the German government’s certification for the protection of humans and the environment. We met all kinds of people who care deeply about our planet and got to know the fantastic Filipino performance artist Pepe Dayaw. Pepe works with leftovers. Leftover food, to be precise. With everything that’s left over in supermarkets or that people have found in the back row of their fridge. And this is how that came about: During an artist residency in Berlin, Pepe dealt with the negative connotations of leftovers in the western world – and noticed how different the view on scraps is here compared to the culture in which he grew up. There, one person’s leftovers are always the next person’s opportunity. 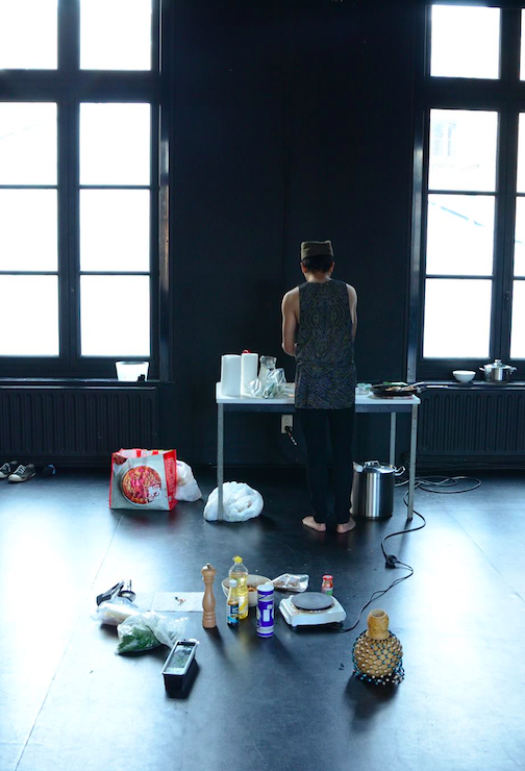 Every Thursday, the Nowhere Kitchen in the Uferstraße cooks with what’s there. Without recipes, without instructions but with a lot of zest and improvisation. The result is always uncertain, there are no limits. Mix that spinach with strawberries? Why not? Purée a dry Bundt cake? Okay! Just shred everything through the grater and invent a new kind of hash brown? Sure! If you know how. His integrative cooking is, above all, an ode to democracy. Anyone can join in, there is no chef. After all, there’s nothing more enjoyable than cooking together. Well, perhaps eating together. Which can happen here, too. If you want to try it out, drop by tomorrow in the New Leftover Space. Why? There are 45 kilos of cheese left over. Yummy! „I think it’s very important to get more women into computing. My slogan is: Computing is too important to be left to men.“ This quote is from Karen Spärck Jones, the British computer science icon. And just how right she was becomes clear if you have a good look at five stone cold facts. In total, only five percent (that’s „FIVE“) of all tech start-ups world wide are led by women. Yes, even in the year 2016, even in times of global app-isation, even in Mecca of start-ups, Berlin. What a shame, considering that exactly those kind of women-led start-ups generate an average of 12 percent more earnings and an approximately 35 percent high return on invest than those launched by the boys. We’re not good at maths, but there no doubt that that is some incredibly high and, above all, unused potential right there. The Vodafone Institute for Society and Communication is of the same opinion and have therefore started a magnificent accelerator called F-LANE. Together with the Impact Hub Berlin and the Social Entrepreneurship Akademie, they are looking for innovative tech start-ups around the world that focus on women who have a business solution for a social problem and have the potential to have a big impact. The goal is to increase the participation of women in technological development and to improve the situation of men and women with the help of technology. During the intense six-week accelerator programme, taking place in Berlin for the first time from February 6th until March 17th 2017, four to five selected start-ups will experience financial support as well as consultation and intensive coaching from experienced mentors, trainings and networking opportunities. F-LANE is about accelerating the development of the companies and offer, as the name already suggests, a short cut to entrepreneurial success. For the entire duration of the programme, accommodation, catering and, if necessary, even full day child care is taken care of. Application is open from now until November 18th here. Did we mention that us here at MMW built and designed the entire brand? Yay! Check out the video! We have a book standing in a shelf. It shouldn’t be there, because as an official coffee table book it should, of course, be lying directly on the little table in front of the couch. It features images of gorgeous architects’ flats and houses. Leafing through it inspires but always also leaves us feeling slightly wistful, that’s how far away theses oases of inspiration in brick and stone seem. What would it feel like to spend a night in a re-purposed chapel or barn, in a tree house or the private rooms of an award-winning architect? The 8-headed team of the website Urlaubsarchitektur collects and presents architecturally outstanding holiday and guest houses all over Europe. 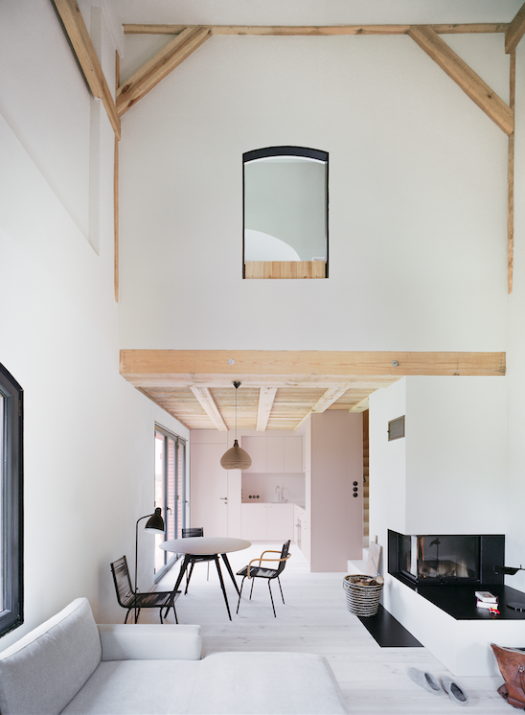 This one, for example: a re-purposed chapel with a modern interior in the middle of the green and secluded countryside of north-east England. Or the compact guest flat in the Rote Scheune on the banks of the charming lake Oberuckersee – just 70 kilometres from Berlin and equipped with amenities such as a fireplace and its own garden. Exclusive homes such as Zumthors holiday houses at 1500 metres in the mountains of Grisons are also featured – and have a certain price, of course. But luxury isn’t the credo of the initiators. The objects are selected by their architectural standard. Individuality, thought-out concepts and implementations as well as unusual ideas make it into this exquisite collection. So there is something fitting every taste and every budget. Booking, by the way, is always through the owner, not the website. And oh, there are the tree houses: in a Slovenian lime tree in the middle of Germany’s capital or a Lower Saxon Glamping-Loft. The choice is yours. Manu is Swiss, Jyri is Finnish. Cultural differences? Check. Lots in common anyway? Double check. The couple confronted the three biggest relationship challenges known to man: 1. Marriage. 2. A child. 3. A world trip. They documented the latter in photographs. Oh boy, did they! As director and digital media designer, they both have an eye for powerful pictures and know how to pack stories into moving images. Their short film »Voyage« is everything that defines travelling – in a nutshell. The pause to reflect. The smelling. The eye-opening. The tasting. The forgetting of time. Five minutes of the world that make you want so much more. But that’s not all. 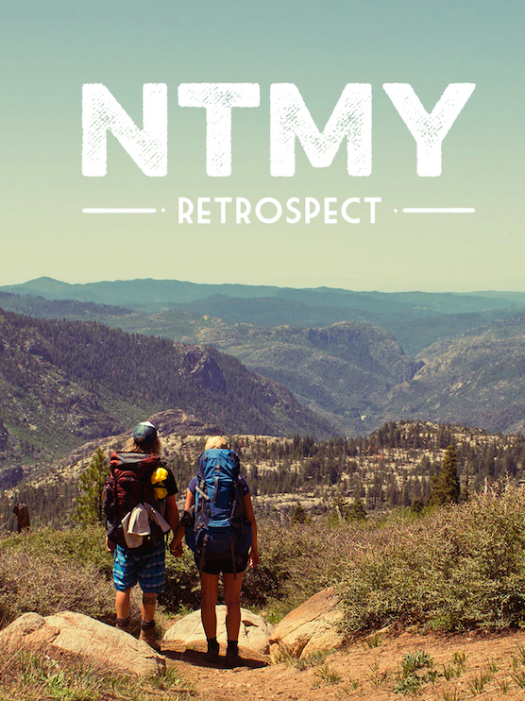 With the project nice to meet you, ntmy, in short, the two of them created a cinematic portrait of earth-dwellers, temporary change of perspective and illustrated broadening of horizons. Because Manu and Jyri not only took clothes, camera and cooker on their trip but also lots of questions: Who could be king of the world? Which object would you want to show to an alien? Do you own a weapon? If so, why? They posed these and more questions to people from China, the USA, Argentina, Guatemala and anywhere they stopped on their travels. Each questioned person added a further question to the catalogue. A moving-pictures travel blog is what they call it. Inspiring, connective and marvellously fascinating is what we call it. Have fun getting to know it. In Sumatra, 88 football fields of rainforest vanish due to clearance for tropical woods or space for plantations – EVERY HOUR! Which means roughly 1.36 million acres less natural habitat per year. Every year. Those who don’t profit from the forest leave it or, lacking a better alternative, hire out to destroy it. When coffee expert and managing director of the Speicherstadt Kaffeerösterei Timo Drews and the Swiss biologist Regina Frey, who has been fighting for decades for the conservation of the tropical rainforest and the protection of the last 6.000 Orang-utans living there, travelled to Sumatra together, they had a genius idea. 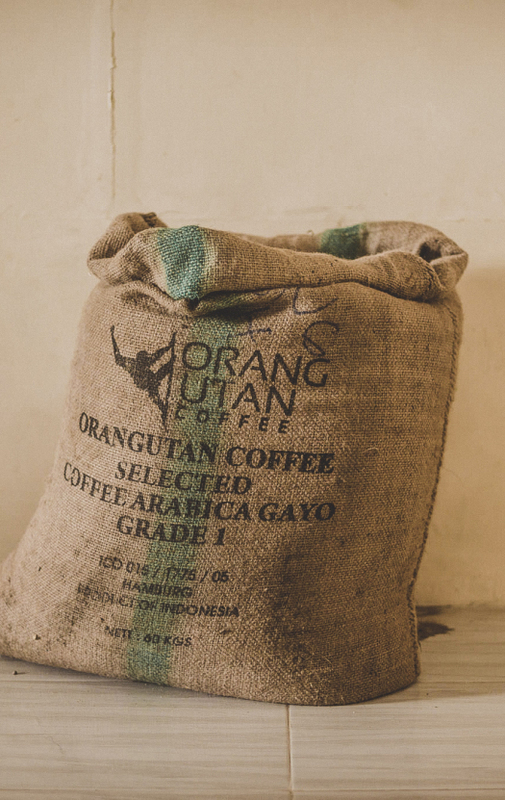 The Orang-utan-coffee-project supports farmers who have been cultivating their coffee plantations in the Gayo Highlands organically for generations and have committed themselves to relinquish the clearance of forest and to protect its plants and wildlife. In return, the families receive a bonus of 0,50 Euro per kilo of green coffee. A further bonus of 0,50 Euro per kilo of coffee goes to support the Sumatra Orang-utan protection programme founded in 1999. So the project solves two problems at once. The farmers are given a sensible incentive to conserve “their” rainforest and are not forced to sell it to palm oil producers. And, furthermore, the last forest people (translated, Orang-utan roughly means person of the forest) are actively protected. Oh yes, and we get great coffee from delicious Arabica with a matchless note of liquorice! On June 18th, 2013, the Speicherstadt Kaffeerösterei officially roasted the first batch of coffee for the project and became the first roaster for the project. Others followed. As of now, 70 small coffee roasters are supporting the project. And that number is rapidly increasing. We are giving away 5 sets of delicious, Speicherstadt-roasted Orang-utan Coffee and a matching, sustainable mug made from glass and finger-friendly cork. Send us an Email headlining ‚DRINK RESPONSIBLY!’ to hurra@muxmaeuschenwild.de. The best stomping ground for inspiration is the whole, wide world. 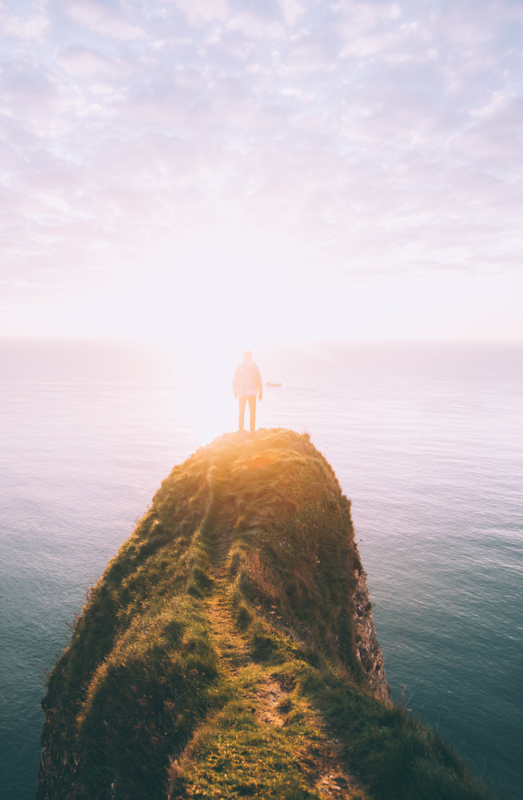 Working in 12 different places spread across the globe in 12 months – in hammocks, at beaches, with breath-taking views, inhaling fresh air, eating local specialities and broadening one’s own horizon together with other cosmopolitan adventurers – well, it sounds like a dream. If there just wasn’t the pesky task of organising it all… May we introduce: Remote Year. 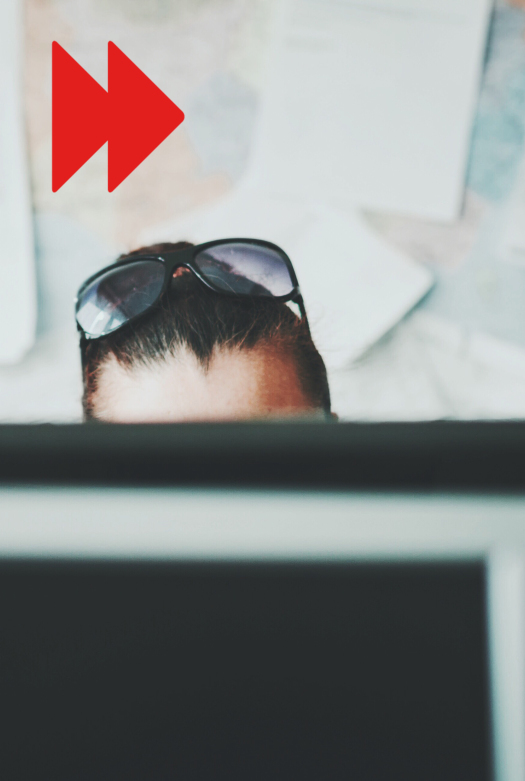 A good handful of enthusiasts and digital nomads have recognised that happy people work well. That happiness has a lot to do with self-determination, freedom and space. And that in many professions, sitting in the same open-plan office with your team or starting your day punctually at 8.30 each morning is totally dispensable for doing your job really well. That’s why they brought the Remote Year to life with a first group of freedom-loving individuals in 2015. Now, applications for exactly that experience can be handed in again for 2017 (verlinken mit ): Working in unusual places together with 75 other world travellers. Accommodation, flights, transport, community events, activities and co-working locations with internet 24/7 are taken care of. Split, Phnom Penh, Buenos Aires, London, Lima, Hanoi… The world is your oyster! In this case, for 2000 Euro per month. What you get for it? The world. Sounds like a pretty good deal to us. It was International World Water Day yesterday. Unlike lots of other fun event holidays, this day is actually of relevance: the aim is to increase awareness throughout the world for the importance of water and the shortage of the most essential resource. For without water there is no life. STOP THE WATER WHILE USING ME!, a natural cosmetic brand based in Hamburg, already carries the appeal to save water in its name, but the label that produces stylish and 100 per cent natural skin care products, is taking things a great step further: Yesterday, our friends from STOP THE WATER launched their latest GOOD WATER PROJECT called DROP FOR CHANGE. The Good Water Project initiative founded in 2014 brings charity and development work together and supports projects that provide fresh and clean drinking water all over the world. Saving water is one thing, but actually helping a billion people that don’t have access to clean water is a whole different story. And this is how they do it: together with LifeStraw, the organisation has equipped 6 schools in Kenya with a total of 32 LifeStraw community water filter systems. Without using electricity, batteries or any other wearing parts, up to 12 litres of water per hour can be cleaned and freed from 99.9 per cent of all bacteria, viruses and parasites. 63 per cent of all schools in Africa don’t have access to clean water – one of the main causes for disease, malnutrition, infections and epidemics. Besides installing LifeStraw filters, the organisation works closely with the local ministries of education and health and conducts educational work concerning health and hygiene. Sounds good! And in the meantime, we’ll continue to take care of ourselves. To mark the start of the project, STOP THE WATER WHILE USING ME! has also launched two new products – „All Natural Cucumber Lime Bar Soap“ and „All Natural Lemon Honey Bar Soap“. 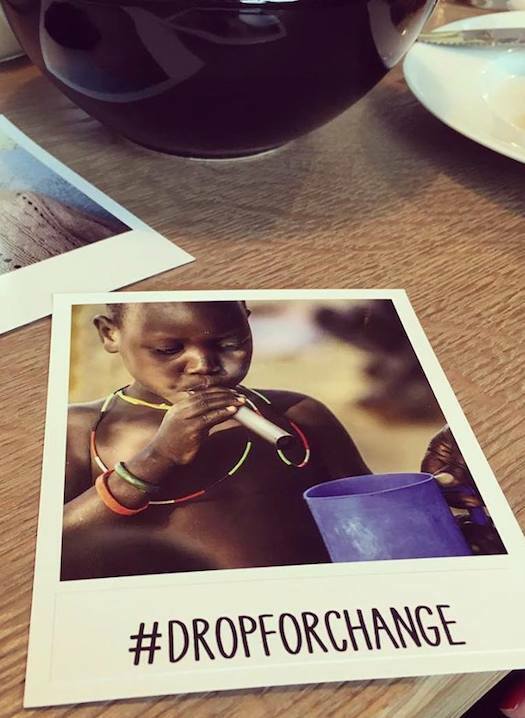 10 per cent of proceeds go towards the project DROP FOR A CHANGE. After all, one hand washes the other.